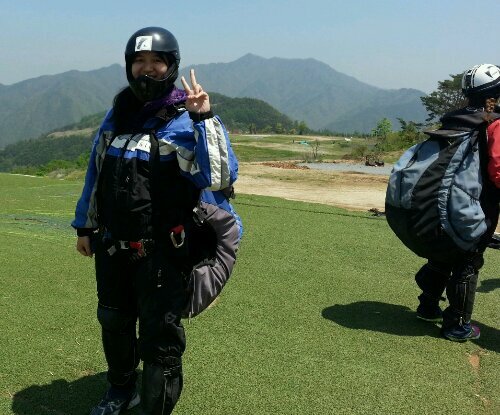 Yey.. finally I fly again and have a smooth landing ^^. 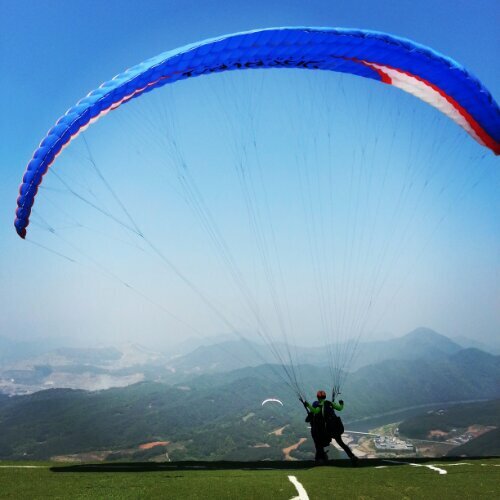 Paragliding…. 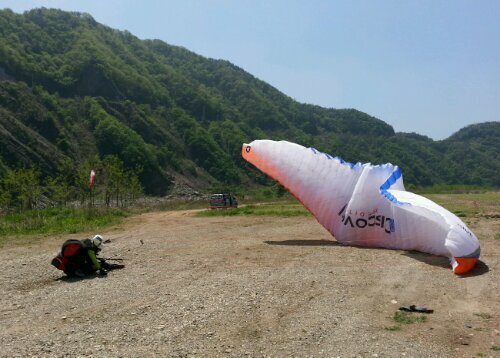 I started to like it since my first trial last year, though it wasn’t ended smoothly ^^, but it gave unique memories to me. 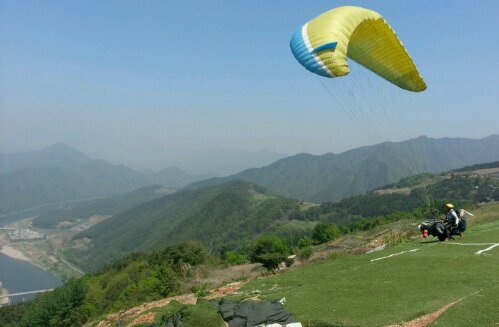 Not many ppl might have a chance to have a landing on the tree 크흐흐흐. Well sometime it’s not easy to run, cos it’s lil bit heavy and really depend on d wind. And sometime we might stumble and fall on the first trial. But no worries, just stand up, walking back and run again toward the cliff. 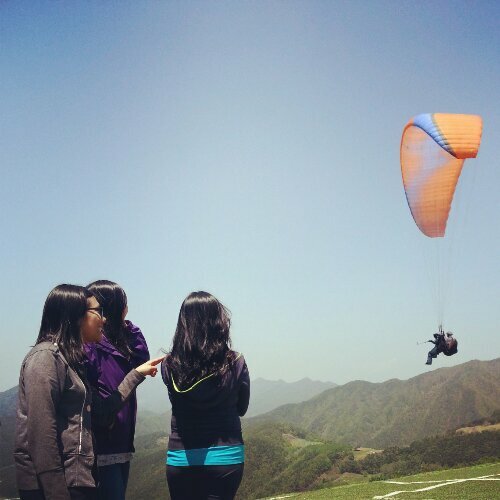 If everything is well, then we will land smoothly on the land. 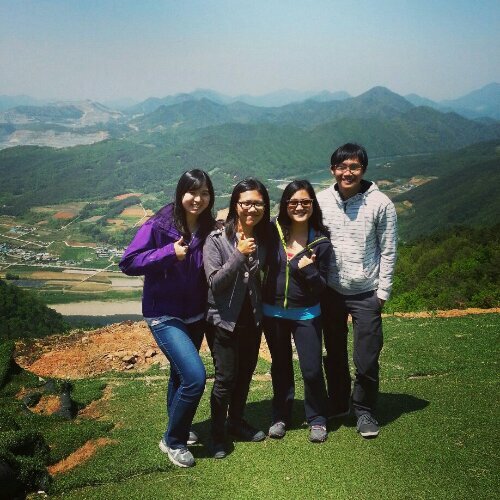 Last but not least… going with friends will make it better.. (though it’s not easy to find friends that wanna try tiz). 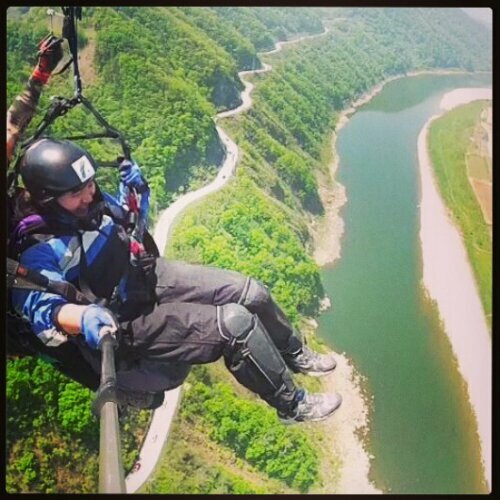 This entry was posted in 7ustm3 n Friends, Fulfilled, Korean Life, My Dream, My First, My Life, Place, Some Places in Korea, Spring, Travelling and tagged danyang, Korea, paragliding by 7ustm3. Bookmark the permalink. 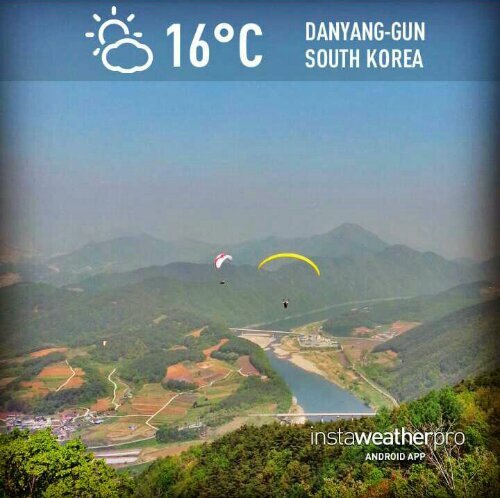 wow paragliding, pasti rokoknya gudang garam filter….